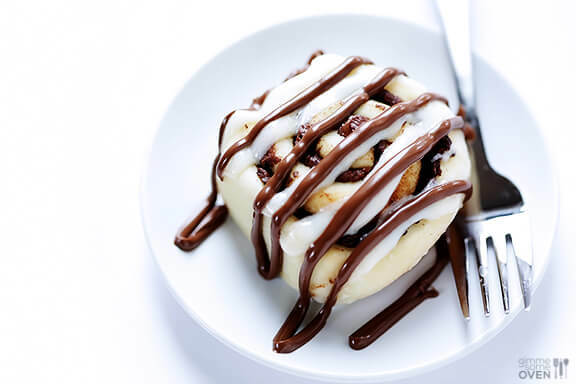 I seem to be on a cinnamon “roll” lately. 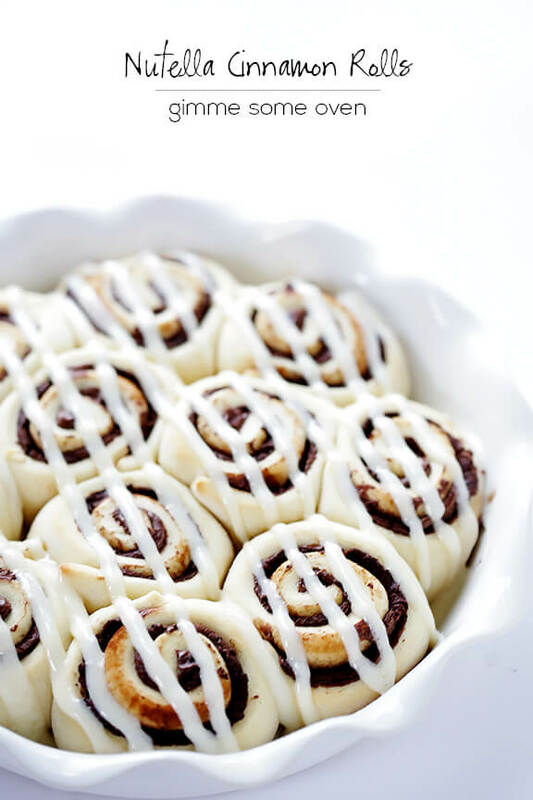 This weekend marked the third (yes, third) time that I’ve made these Nutella cinnamon rolls in a month. And then I made a batch of my 1-hour cinnamon rolls yesterday when my sister and brother-in-law made an impromptu breakfast stop driving through Kansas City, which turned into a little Wichita friends reunion. And then I am planning to make another new version of them for Christmas this year. So many cinnamon rolls!!! 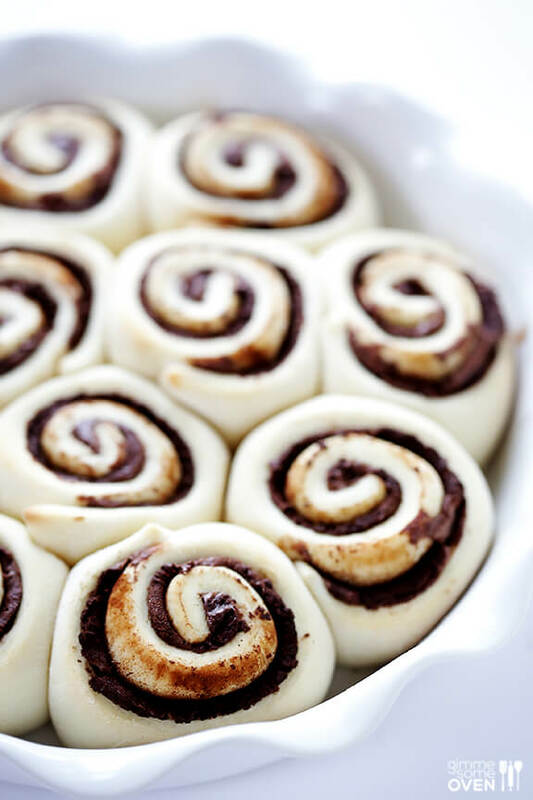 Without fail, these Nutella cinnamon rolls have been receiving rave reviews lately, so it’s high time I finally get them posted to the blog! This final batch I actually made to photograph this weekend, right as our winter storm was rolling in. I took some warm rolls over to the guys at my coffee shop next door to taste test, and after picking up one to try in less than 2 seconds, one of the guys immediately declared his love for me. Too bad he’s, like, 20. But hey, maybe I’ve discovered the secret to men’s hearts with these…? 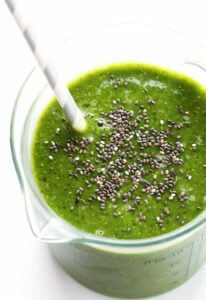 Still, I also happen to agree that this recipe is pretty lovable. 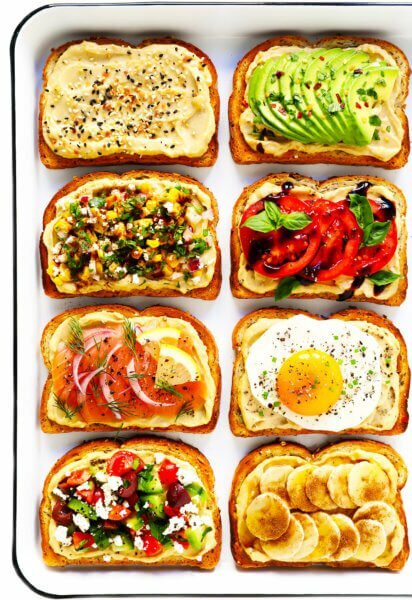 And you can whip it up in just 1 hour, although they taste like you’ve been working on them all day. Read on for the how to! We begin by making the basic yeast roll recipe. 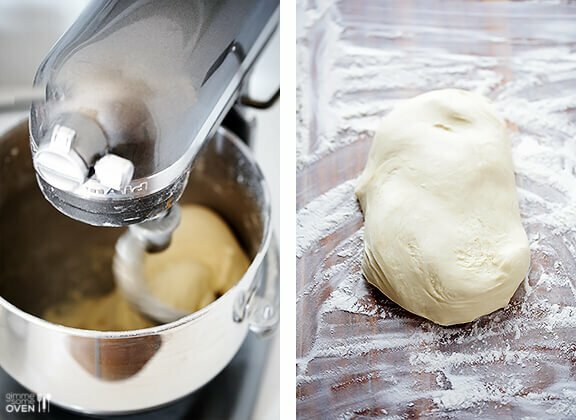 If you have a stand mixer, it will literally do all of the mixing work for you. But if not, see the note below for a simple version kneading by hand. Let the dough rise for a few minutes after kneading. Then once the dough is ready, roll it out on a surface to where it is roughly 9 x 14″. 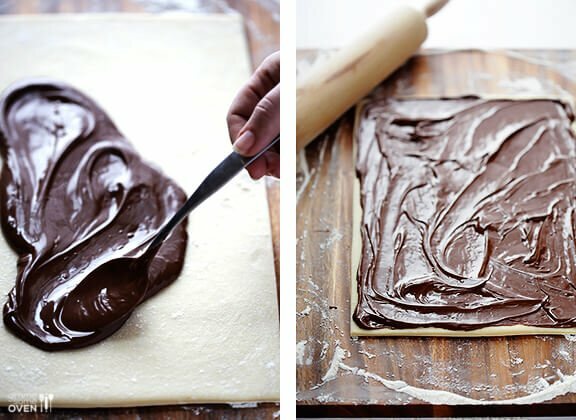 (If you want more Nutella and cinnamon inside, extend that to a square 14 x 14″. 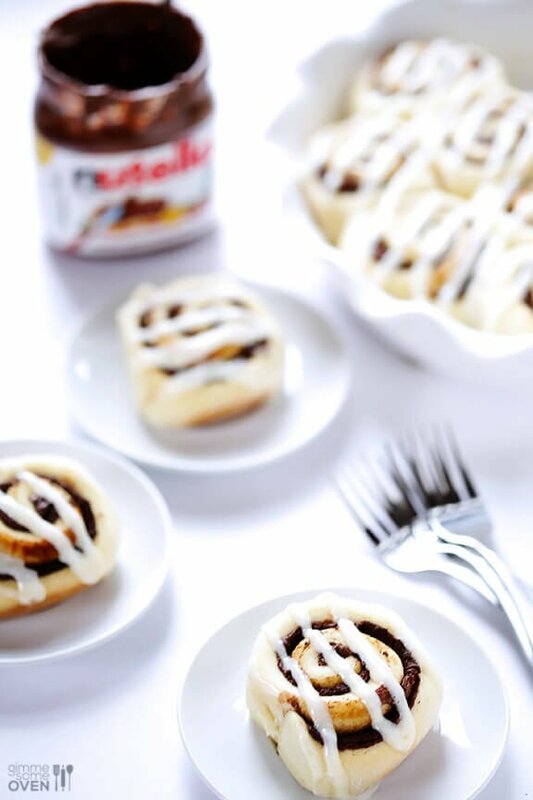 Once you’ve spread out the Nutella, sprinkle lots of cinnamon on top. I made one version with cinnamon and sugar, but felt that the extra sugar was unnecessary. The Nutella is sweet enough for me! 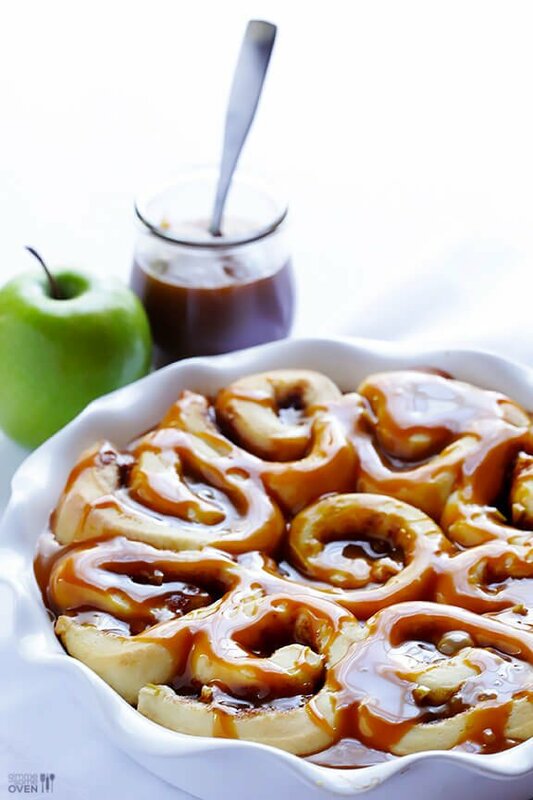 Lay them in a greased pie plate or 9 x 13″ baking dish. 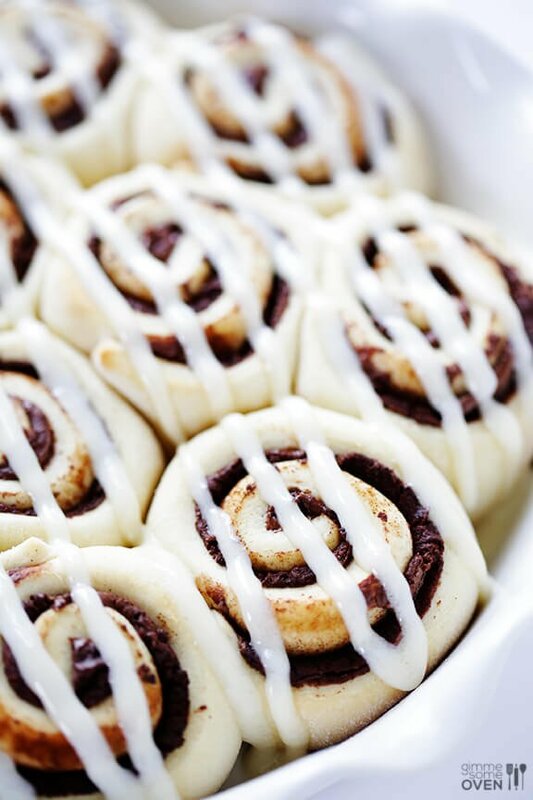 Then cover and let them rise a bit more, and then bake them up to cinnamony, Nutella-y perfection. I mean, just look at ’em. I would happily dive in right here. 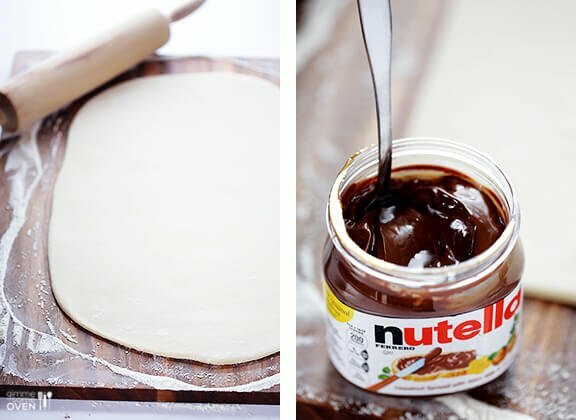 …or drizzle them with some extra Nutella. 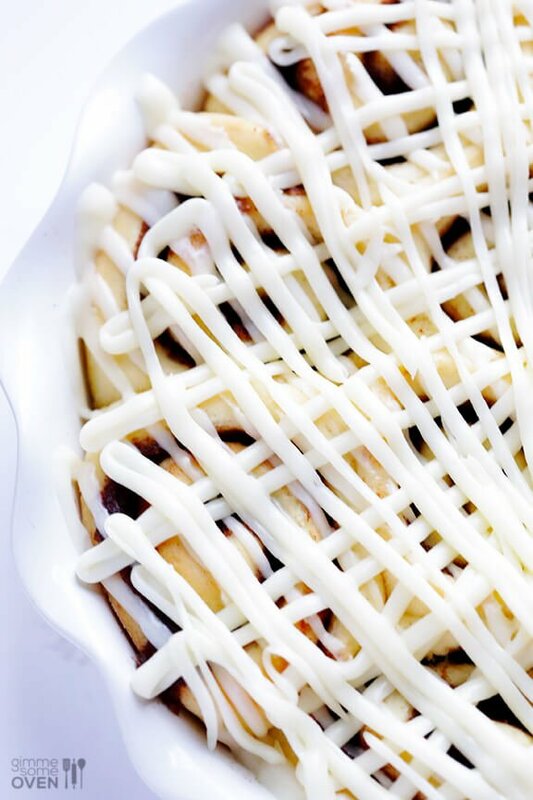 Or extra frosting. Or as I did, both. 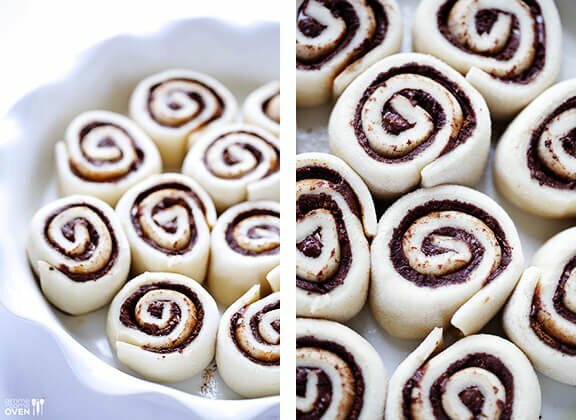 This Nutella cinnamon rolls recipe comes together in just 1 hour, and is full of that delicious chocolate hazelnut flavor we all love! 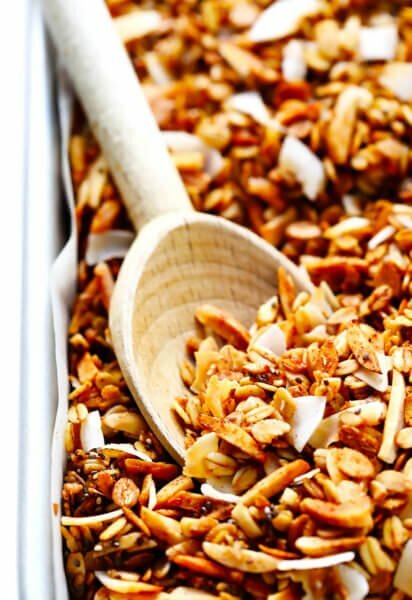 Combine milk and butter in a microwave-safe bowl. Heat on high for 1 minute, then remove and stir. Continue heating in 20 second intervals, pausing after each to stir, until the butter is melted and the milk is warm to the touch but not hot. If needed, let the milk mixture sit for a few minutes until it is warm but not hot. In the bowl of a stand mixer (*see note below for an alternative method of making this by hand*) fitted with the dough hook attachment, add yeast and lukewarm milk mixture and stir by hand to combine. Add the flour mixture and egg, and beat on medium-low speed until combined. If the dough is sticking to the sides of the bowl, add the remaining flour, 1/4 cup at a time, until the dough begins to form a ball and pulls away from the sides of the bowl. Continue beating for 5 minutes on medium-low speed. Remove the dough hook and cover the dough with a damp towel and let rest for 10 minutes. 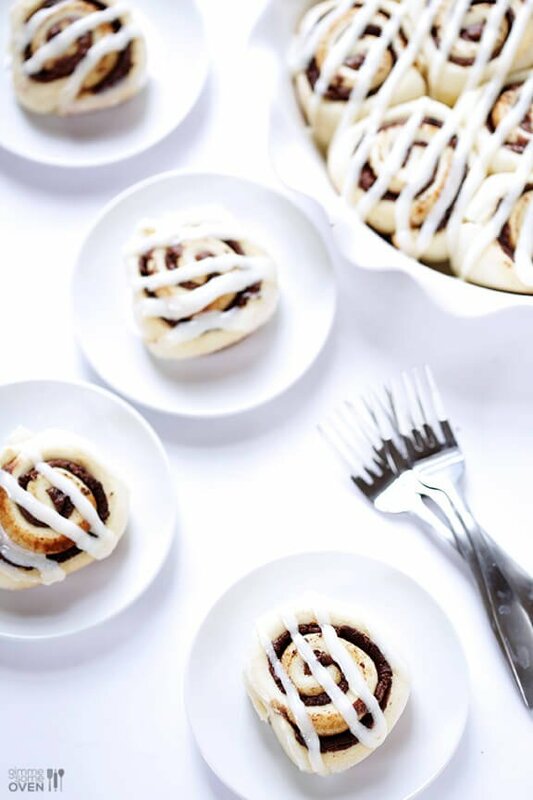 When the rolls have risen, uncover the dish. Then place on the center rack of the oven and bake at 350 degrees F for 15-20 minutes, or until the rolls are golden and cooked through. Remove and let cool on a wire rack for at least 5 minutes. 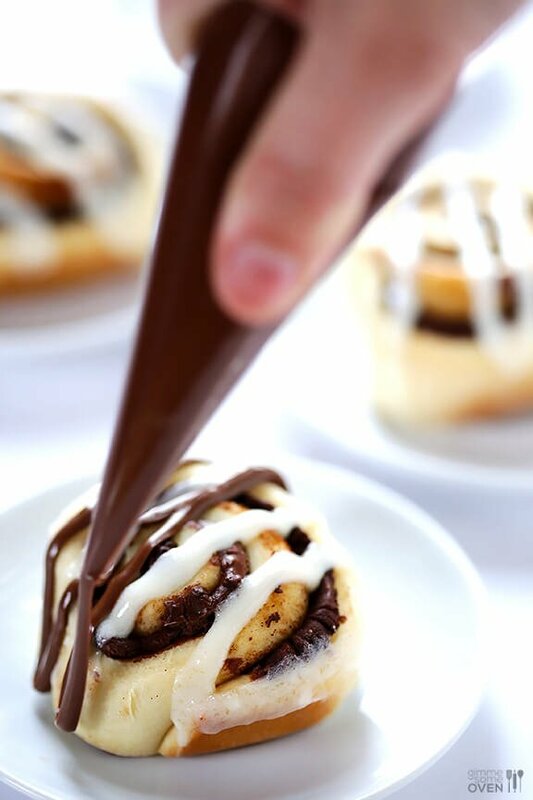 Drizzle with your desired icing and Nutella and serve. Either in the bowl of an electric stand mixer, or a mixing bowl, whisk softened butter and cream cheese together until combined. Then whisk in powdered sugar until combined. If the icing is too thick, add a tablespoon or two of milk to thin. Warm Nutella in the microwave for a few seconds to help make it more spreadable, if desired. 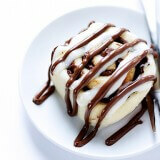 Then use either a piping bag to pipe it onto the cinnamon rolls, or use a fork to drizzle it on. ***To cut dough with dental floss, simply break off a piece of floss about 12 inches long. Then very carefully slide the middle of the floss under the dough to the place where you want to “cut”. Then pull the ends of the floss up and cross over the top of the dough. Then give a quick tug to literally cut all the way through the dough. 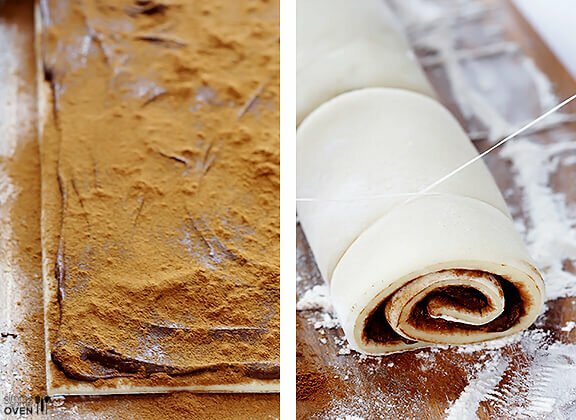 This is the best method for not squishing your dough while cutting it — although the standard knife method still works too.